Art Forgery Trial Asks: Were Dealers Duped, Or Did They Turn A Blind Eye? The New York art world was shocked when the city’s oldest gallery abruptly closed its doors more than four years ago. 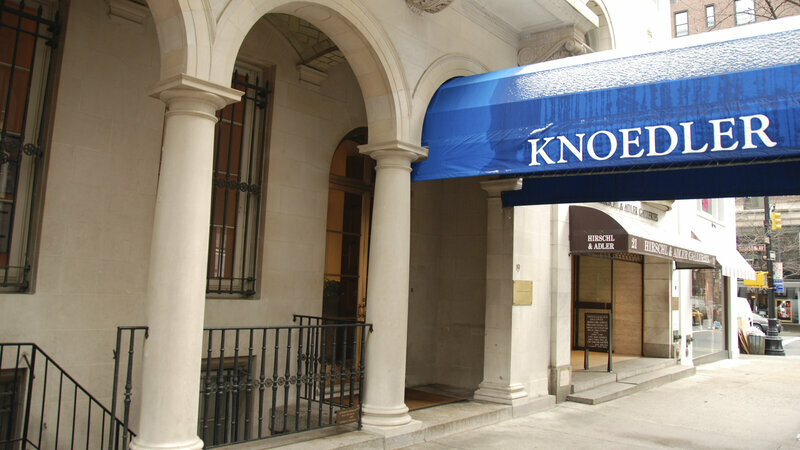 A few days later, news broke that Knoedler & Company was accused of selling paintings it now admits were forgeries for millions of dollars each. The gallery and its former president face several lawsuits by angry collectors and the first trial began this week. The forgeries at the center of the scandal look like masterpieces by Jackson Pollock, Willem de Kooning and other prominent abstract expressionists. They were good enough to fool experts, and even Ann Freedman, then-president of Knoedler & Company, says she was duped. Nikas says Freedman even bought some of the paintings for her own personal collection. But the plaintiffs in this case and other pending lawsuits say Freedman overlooked glaring problems with the paintings’ backstories. The art dealer who sold the paintings to the gallery, a woman named Glafira Rosales, pleaded guilty to fraud and money laundering charges in 2013. According to Freedman, Rosales told an elaborate story involving a European collector (known only as “Mr. X”) who bought the paintings with cash in the 1950s, when he was having an affair with an assistant at two top New York galleries. In the end, Rosales admitted to selling Knoedler 40 counterfeit paintings over more than a decade. The plaintiffs argue that Freedman knew — or at least should have known — that something was amiss. It’s hardly the first time an art dealer has been accused of deliberately looking the other way. Ken Perenyi is a professional art forger who wrote about his career in the book Caveat Emptor. “From over 30 years’ experience with art dealers,” he says, “I would say there most certainly are individuals out there in the trade that will turn a blind eye.” . . .
“It’s a tired cliché constantly heard but, yes, Hong Kong’s art scene is stronger “than before”. There’s now a wider variety of commercial art galleries and Art Basel’s choice for its Asian outpost has made the city a destination for international collectors, curators and art personalities. 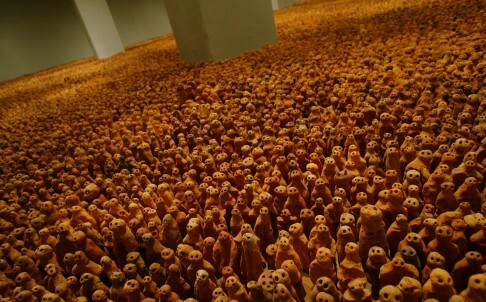 However, there are still few domestic collectors dedicated to contemporary art, and there is a dearth of continuing and provocative museum exhibitions charting the contemporary art world. That’s notwithstanding the anticipated opening in 2017 of M+, the planned museum of visual culture at the West Kowloon Cultural District. This gallery and café exhibits paintings, sculptures and photography by a wide range of regional artists. Talks and workshops too. Open Sat 9am-4pm; Sun-Thu 7am-2pm. Off Sheikh Isa Avenue, behind the Carlton Hotel, Adliya, http://www.albareh.com (17 717 707). Private gallery which shows the owner’s work from furnishings to clothing as well as paintings and also regularly stages the work of up and coming artists. Budaiya behind the Post Office off Bani Jamra turn (17 162 155). Gallery, members’ club, etching room, classrooms and studio. The society holds regular exhibitions, workshops and courses throughout the year. Beside Lanterns on the Burgerland roundabout off the Budaiya Highway (17 590 551). Venue: Major exhibition gallery of the Art Gallery of New South Wales.